It is a bliss having apps that make life easier. One of the toughest things you would have to do is marriage, especially in Indian society where arranged marriages are the norm. 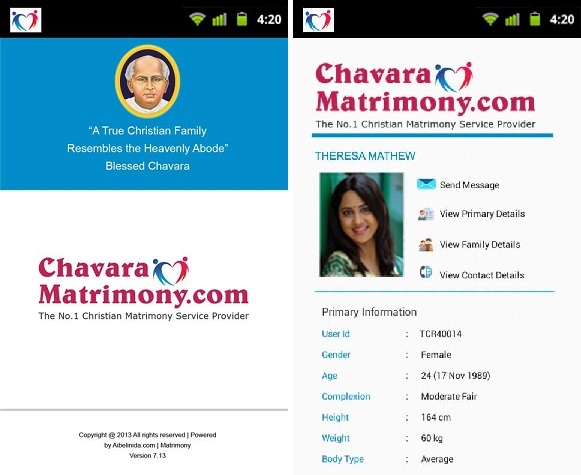 Matrimony apps provide you a great way to find your soulmate – you can actually list out what you need in your life partner and approach people who are close to whom you want and then take things forward. It is a better solution at least than blindly following someone who doesn’t even know what you actually desire in your future spouse. We have listed 5 matrimony apps that would help you find your ideal match. Shaadi.com is the world’s largest matrimonial service. It boasts of 20 million matrimonial profiles of brides and grooms. 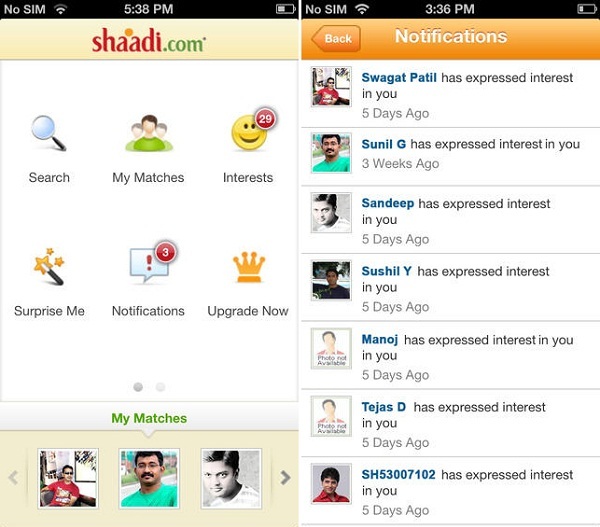 The Shaadi.com app lets you stay online on the website from your smartphone. It also has an IM feature which lets you chat with members from your iPhone. You can also easily receive a new chats. The free application lets you create your profile from your phone and start receiving matches, you can receive and send interests to potential matches and also search and view matrimonial matches. There is also a surprise matrimony feature which will pop up random profiles which you can look into. Bharatmatrimony.com is known for the ease it endows to matrimonial searches. The BharatMatrimony app works the same way. It is available for free download on Android and iTunes. You can easily register and create your profile via the app itself. Matches can be searched according to city, community, income and more. You can easily view detailed profiles of members and interact with them through the Express interest feature. 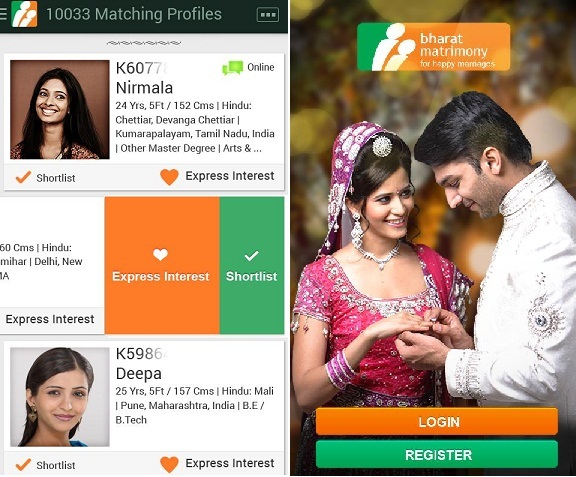 Once you are registered for a BharatMatrimony membership, you can also chat on the go. You get instant notifications of other people’s interest in you and can easily view personalized messages. Zindagi Matrimony too is a matrimony site catering to an Indian audience. It lists matches from different states around India. It helps you search from potential matches and lets you choose from messages, activities and offers different packages accordingly. It also boasts of people from varied backgrounds, giving you an array of potential matches to choose from. If you are a Muslim, and want to pursue Islamic matrimony, WayToNikah might help. It lists not just Indian, but global islamic matches and lets you choose your life partner the Islamic way. If you want a match who is halal (certified by Quran dictates), and not a dating site, this website will be of help. The website offers easy matchmaking with 100 percent privacy guaranteed. It has received good reviews on Google Play. If you are from a minority community, it might turn out a tad difficult finding a suitable match within your community. It is managed by Christian priests and is pretty user friendly. It is pretty popular, especially in South India.